King Toronto is a new condo development by Westbank and Allied Properties currently in preconstruction at 533 King Street West, Toronto. King Toronto has a total of 514 units. 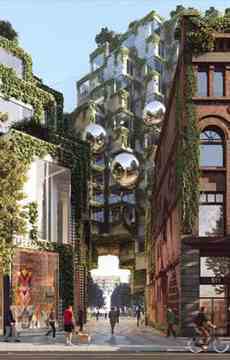 King Street West is one of Toronto most in-demand downtown locations, and the development complex will be situated in the heart of the city’s Fashion District. You’ll be just a short distance away from the city’s Bay Street banking and financial centre, and King Street’s world-class collection of famous theatres and concert venues can easily be reached on foot. Union Station, the Rogers Centre, the Air Canada Centre, Ricoh Coliseum, the Eaton Centre, Queen Street, TIFF Bell Lightbox, and many other prime Toronto destinations are also located in the immediate area. 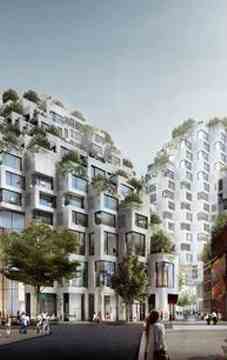 Architect : BIG - Bjarke Ingels Group and Diamond + Schmitt Architects Inc.